Motor Carriers and Drivers are required to be in an Alcohol and Drug Testing program that includes random, post-accident, reasonable suspicion, and other alcohol testing. There is a shortage of Accredited DOT Breath Alcohol Technicians and providing DOT alcohol testing is an important part of being the “One Stop Shop” of services needed and appreciated by your transportation clients. Those that are DOT Breath Alcohol Technicians can perform alcohol testing for commercial drivers, pilots, school bus drivers, merchant mariners, transit employees, pipeline workers and all other DOT Administrations as well as being a provider for all Non-DOT regulated businesses that conduct alcohol testing of their employees. Alcohol testing is usually performed by staff members who have completed the DOT training requirements and in most cases an alcohol test does not require the time of the health care provider. Most alcohol tests can be performed within 10 minutes. Add this additional revenue source to your practice and provide needed services to the transportation industry. DOT regulations require that training be alcohol testing device specific. DOT regulations require completion of an accredited “Qualification” and “Proficiency Demonstration” course to perform DOT alcohol testing. This accredited course consists of both “Qualification” and “Proficiency Demonstration” to meet the DOT requirements to be an Accredited DOT Breath Alcohol Technician. DOT regulations require that BAT training be alcohol testing device specific. This course is for Lifeloc Breath Alcohol testing equipment only. After completing both parts of this training, students will receive a TeamCME Certificate as an Accredited DOT Breath Alcohol Technician. The “Qualification” requirement is met by completing the TeamCME/Lifeloc self directed online course. You can order this course on the TeamCME online store, or you can call TeamCME at 541-276-6032 to register. Once ordered, TeamCME will contact you with instructions on how to access the online qualification training. Upon completion you will receive a Lifeloc Certificate when you complete this portion of the training. The “Proficiency Demonstration” portion of this course occurs after the “Qualification” training is completed. “Proficiency Demonstration” is provided as a Live Skype teleconference with a TeamCME staff member. To meet DOT regulations, “Proficiency Demonstration” must be completed within 30 days of finishing the “Qualification” training. Students must have a Lifeloc Breath Alcohol Tester available to perform the proficiency demonstration. 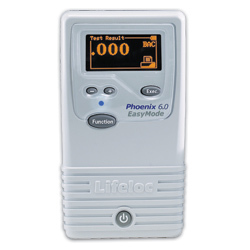 Purchase of Lifeloc Alcohol Testing equipment is available at discount pricing thru TeamCME. For additional information regarding this course, please call TeamCME at 541-276-6032 or view Lifeloc Alcohol Testing Equipment and Supplies at the TeamCME Online Store. This DOT Breath Alcohol Technician Training course may be used for Initial training or to meet the DOT 5 Year Recertification requirements. This course is for those who have already completed “Qualfication” training and only need to complete BAT “Proficiency Demonstration” to become a DOT Breath Alcohol Technician. This course only satisfies the DOT requirement for “Proficiency” Training to provide DOT Alcohol Testing. DOT regulations require that “Proficiency Demonstration” Training be completed within 30 days of completing “Qualification” training. This course may be used for the Initial “Proficiency Demonstration” or the 5 Year Recertification Training requirement. Provided as a Live Web Conference with TeamCME staff. Student must have Lifeloc Breath Alcohol Tester equipment to demonstrate proficiency. Contact TeamCME for purchase of Lifeloc equipment if needed. For those that only need BAT Error Correction Training, this accredited training review of the error subject and limited “Proficiency Demonstration” satisfies the DOT requirement for Error Correction training when required by DOT regulation. Provided as a Live Web Conference with TeamCME staff. Must have Lifeloc Breath Alcohol Tester equipment to demonstrate sufficient error correction by performing 3 mock collections. Contact TeamCME for purchase of Lifeloc equipment if needed.